Cancer, cancer, cancer. Seems like it's everywhere. The plain fact of the matter is that too many of us are getting it or have loved ones that are dealing with it. It's because so many of us are being touched by this monster that I feel compelled to continue to share what can be done about it. You see, the other plain fact of the matter is that science is now proving that diet plays a HUGE role in preventing, stopping, and even reversing it. 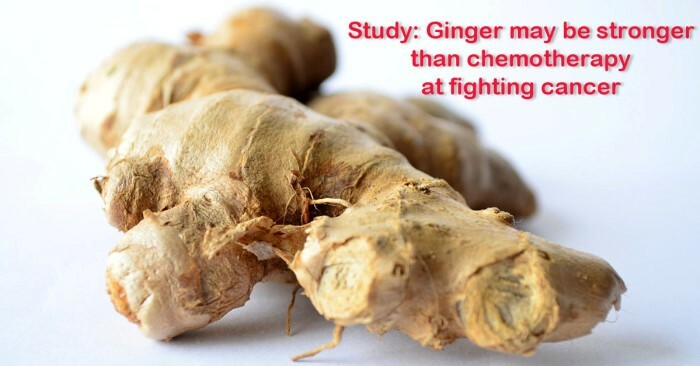 For instance, a new study reveals GINGER contains a pungent compound is showing to be up to 10,000 times more effective than conventional chemotherapy in targeting the cancer stem cells at the root of breast cancer malignancy. I'm quoting from FoodRevolution.org and GreenMedInfo.com: "Cancer stem cells (CSCs) are at the root of a wide range of cancers, not just breast cancer, and are sometimes referred to as "mother cells" because they are responsible for producing all the different "daughter" cell types that makeup the tumor colony. "CSCs have the seeming "immortal" ability to self renew, are capable of continuous differentiation, are resistant to conventional chemotherapeutic agents, and are tumorigenic (are capable of "splitting off" to create new tumor colonies). Clearly, the cancer stem cells within a tumor must be destroyed if cancer treatment is to affect a lasting cure. "CSCs pose serious obstacle to cancer therapy as they can be responsible for poor prognosis and tumor relapse. To add into the misery, very few chemotherapeutic compounds show promise to kill these cells. Abundant research shows that cancer stem cells are resistant to paclitaxel, doxorubicin, 5-fluorouracil, and platinum drugs [8, 16]. CSCs are thus an almost unreachable population in tumors for chemotherapy. Therefore, any compound that shows promise towards cancer stem cells, is a highly desirable step towards cancer treatment and should be seriously considered." And this takes us back to ginger. 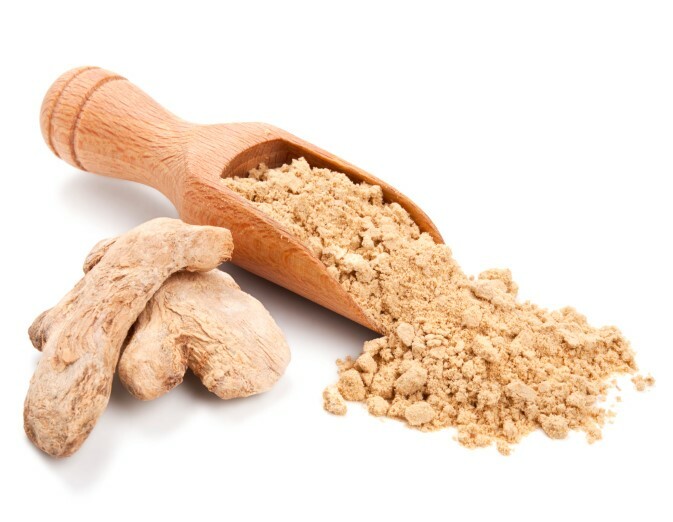 Ginger's pungent and powerful anti-cancer compound mentioned above is 6-shogaol, produced when the root is either dried or cooked. 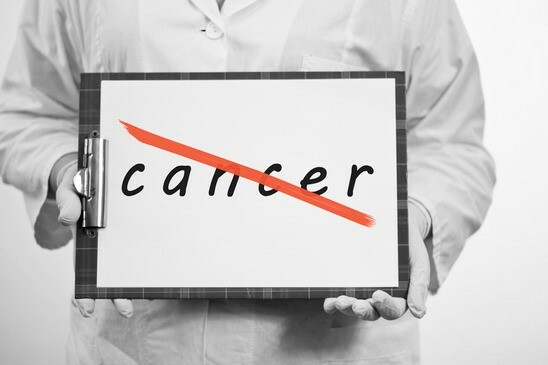 And what's especially exciting is that research shows that the cancer-destroying effects are non-toxic to non-cancerous cells - a crucial difference from conventional cancer treatments. Is it really any surprise that whole foods do the body good? So if you or anyone you know is dealing with any type of cancer, why not eat some ginger on a regular basis? It certainly can't hurt a thing. In fact, that's what scientists are now saying: "Consider the hugely important distinction between natural anti-cancer agents and conventional ones, namely, "dietary compounds are welcome options for human diseases due to their time-tested acceptability by human bodies." I rest my case. So with all this said, what can we do with dried and cooked ginger? In a large pot, add 1 tbsp olive oil over low-medium heat. Add chopped onion and cook for about 5 minutes until translucent. Add minced garlic and ginger and cook for another couple minutes on low. Add chopped apple and carrots and cook for a few minutes more. Add the vegetable broth, stir, and bring to a boil. Reduce heat to low-medium and simmer for 20 minutes, or until tender. Carefully transfer this mixture into a blender (or you can use an immersion blender probably), add a pinch of nutmeg, and blend until smooth. You might need to do this in 2 batches depending on the size of your blender. 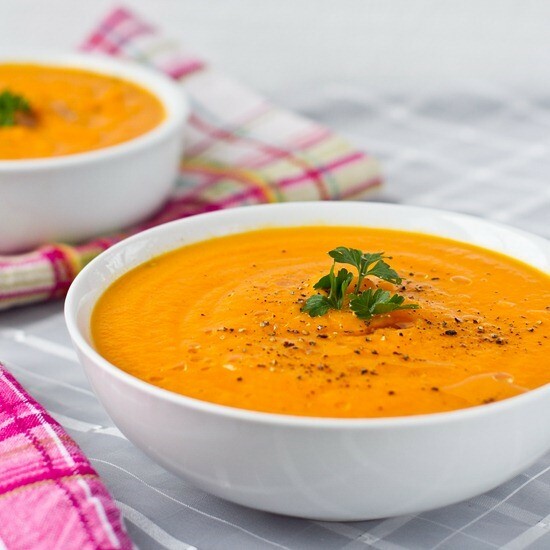 You don't want the soup more than halfway full or it might explode through the top. Make sure to allow steam to escape through the top of the blender lid too. Add salt and pepper to taste. You can also thin the soup out a bit with more broth. Serve and garnish with freshly ground pepper and a drizzle of olive oil.